Google has recently announced all new photo editing tools with enhanced features for all its Google Plus users. Since its original launch, Google has been updating the online photo editing features built on Snapspeed technology. The team has developed some of the most highly customizable, sophisticated and fun tweaks to the service. The new tools do not replace traditional desktop tools like Photoshop, Nik, Lightroom, FX Photo Studio Pro etc., but are very nifty nonetheless. Additionally it includes spot fixing and spot editing tools along with tilt shift editing. Enabling the Auto Enhance feature when you add photos makes subtle adjustments by simply over saturating the color or correcting white balance. 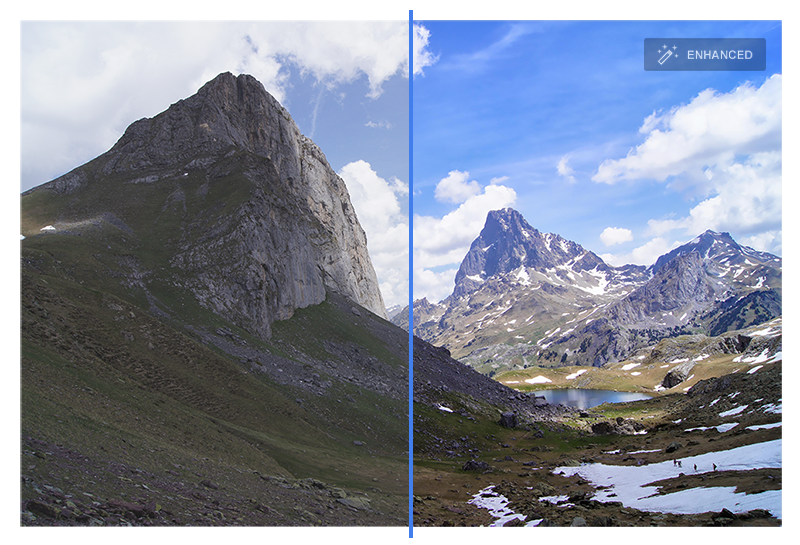 Auto Enhance fixes the white balance of your photos and improves lightning. Click your photo to open it in full screen and then place your cursor over it to know if your photo has been automatically enhanced. Auto Enhance feature is on by default and you can turn it off any time. To restore a photo to its original size click More and then either uncheck Auto Enhance/Revert to Original to remove other edits. However, sometimes it may not deliver required results and make your photos look unappealing by increasing noise levels. Photo colors might appear exaggerated and might not seem natural. Photos taken at night time make shots appear blurry and Auto Enhancing such photos make them worse by increasing the noise and brightening already effective areas. With the Highlights tab you can now automatically curate the images you upload by showcasing the best photos out of the number you upload. Weed out the blurry, duplicated and poorly captured images by favoring perfect smiling faces and photos with accurate exposure. There are two ways to access your highlights tab. One way is to access your highlights tab and the other is to choose highlights directly from an album. In Google+ menu choose Photos option. Choose Photos from Google+ menu. Select and Album and choose one. Click Edit album to add tags/ captions or share as it is. You can upload up to 15 GB photos and downsized images smaller than 2,048 pixels do not count towards the storage limit. Select Hide from highlights to remove any photos from the Highlight tab. Enabling the Auto Backup option automatically uploads your photos and videos taken on your mobile device to a private album on Google+. These uploaded photos are only accessible by you via web or your mobile device until you choose to share them. You can either choose to enable/disable the Auto Backup option when you first sign in. It will not work when you are signed out of Google+. Make sure your sync is enabled for Auto Backup on your device and is available under Google account sync settings. Auto Backup will not let you upload queued photos if any. Use Back up all when you notice no photos have been uploaded. Auto Awesome is the biggest addition to the suite of photo editing tools for Google+ that makes you turn photos into collages or animated GIFs automatically. It will also make auto panoramas and HDR photos when you upload right kind of pics adding extra fun to your photos. You can trigger many features by turning your images with a greater range of shadows and light. It has packed with many styles like motion, pano, smile and mix. Motion helps you to stitch together the series of photos taken into a short animation. 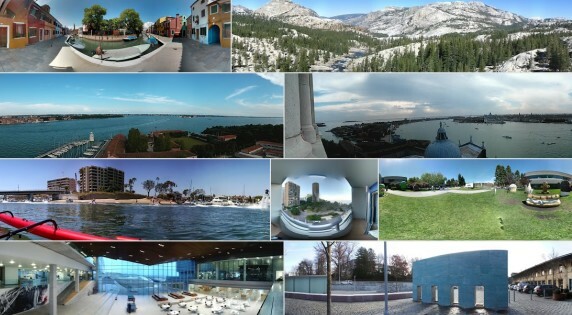 You can turn your overlapping landscape images views into a panoramic image with this effect. 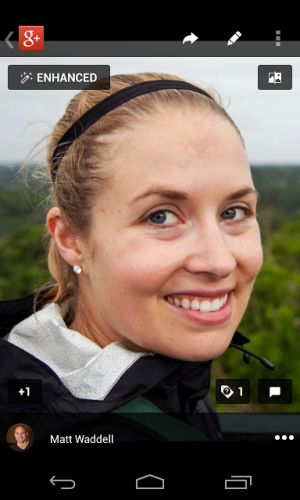 Smile effect selects the best shots of each person and turn into a great looking photo. Mix works best when there are close-ups of faces and especially showcases those photos with a similar background. Google+ sends notifications whenever it creates Auto Awesome animations, filmstrips and panoramas. You can disable this feature in settings by deselecting Auto Awesome. Other simple features like Selective adjust lets you edit specific parts of your image and filters like Retrolux or Black, White, Drama, and Vintage make your photos look great with some new tweaks. If you use these tools, do let us know about your experiences! Spandana Chevva has completed her graduation. She is a tech enthusiast and loves to learn new things about the latest happenings in computer world. She personally loves writing articles and coding in general.